Operating an independent business is never easy, but it is always rewarding. Independent HVAC contractors face their own unique challenges in an industry that involves a lot of changing job sites, uncertainty, and Liability. Proper HVAC insurance can help you grow your business, demonstrate your dependability to customers, and give you longevity as a business. The Risk of Operating Without Proper Commercial Insurance is not worth the savings. If you work in the heating and air conditioning industry and need adequate HVAC contractor or equipment insurance, contact Petley-Hare. 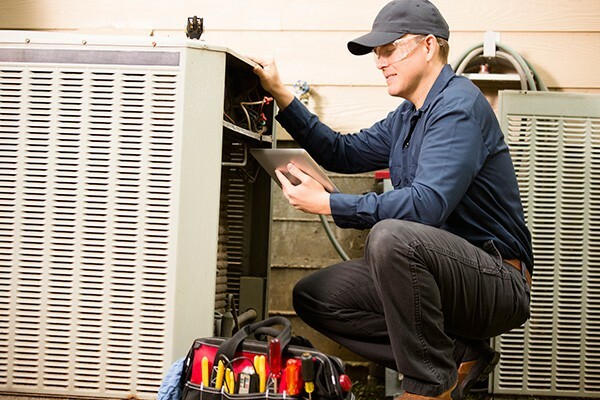 Our insurance brokers provide HVAC insurance programs that are geared towards your unique business considerations and offer coverage at an affordable rate. HRAI makes it easy for home and business owners who need your services to find your business. The organization focuses on providing education and exposure for qualified HVAC technicians. Petley-Hare is proud to be associated with HRAI and providing homeowners across the GTA an easy way to find reliable, licensed, and insured HVAC contractors. Insurance Coverage: You need to have a policy in place in order to be considered. 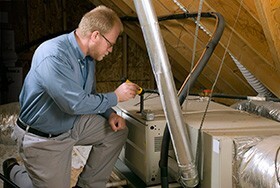 If you are missing HVAC home insurance coverage, speak with Petley-Hare today. Insurance is a great investment for your employees, customers, and the future of your business. Valid Trade Certificates and Licenses: Demonstrate your knowledge and skills with the right paperwork and certifications. Agree to Uphold the HRAI Member Code of Ethics: Stand by the ethics and standards that HRAI upholds by Signing their Agreement to support their code. HVAC business owners are short on time and high in-demand, all year long. If you understand the value of comprehensive and tailored Commercial HVAC Insurance, but simply don’t have the time to do the research and find the right policy, talk to our team at Petley-Hare. In addition to our years of experience and knowledge, we also have a strong Partnership with Gore Mutual Insurance. Count on us to help you save time and money when you are shopping for business insurance. We dedicate special attention and services to each client to help you find the right coverage for your operation. Use our helpful HVAC Insurance Quote Tool to budget and determine the level of HVAC insurance coverage you will require to be protected. Fast, simple, and competitive heating and air conditioning insurance coverage can be yours today when you work with our team. Contact our experienced insurance brokers in Durham to find out how we can make your HVAC company insurance work harder, cost less, and go further for you. 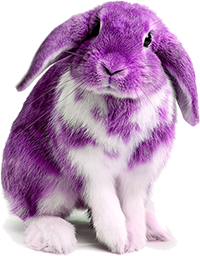 Call Petley-Hare toll-free at 1-800-216-5324 to learn more about Durham HVAC insurance claims, coverage, and equipment insurance. We can cover your business and provide a Free, no obligation Quote Online.